Camera on the building of the Informationstechnikzentrums Bund (ITZBund), Am Ehrenberg 8. The camera is at the front of the faculty building of the faculty mechanical engineering. It is aligned after southwest. The picture shows the free field test area of the field of activity thermal and fluid dynamics before the panorama of the Thuringian forest with Kickelhahn. With support of the company SEI system engineering GmbH ilmenau in October 2006 on the Kickelhahn Tower in approx. 888 m height a Webcam with view of Ilmenau was installed. On the Internet sites of the nature park Thuringian forest registered association you know an overview of those around run-rise yourselves approximately available Webcams to at present provide. If the prospect should be clouded e.g. with fog, a view in our photo gallery is worthwhile itself. The second Webcam installed on the Kickelhahnturm makes a view possible for direction west. One sees the Großen Finsterberg, the Schmücke, the Schneekopf and further mountains along the Rennsteig. We recommend a view in our photo gallery also here. 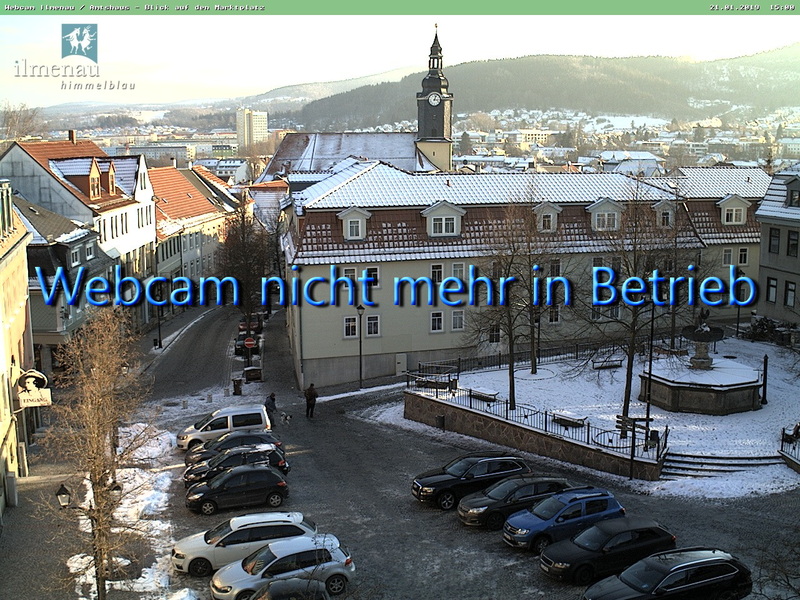 The webcam offers a view from the Amtshaus (Museum and Tourist Office) across the square in a southerly direction to mountains of the Thuringian Forest. Since all linkings on this side (up to references in the photo galleries and in the menus) on external sides of strange offerers, we ask for understanding, if the topicality or the accessibility of these sides leaves remaining occasionally to wish. At the time of the linking we examined all linkings for efficiency.